Victron Energy offers many beneficial products for pay-as-you-go (PAYG), enabling customers to take advantage of high quality systems at an affordable cost. Collaborations are being forged with various partners to offer turnkey solutions in this domain. 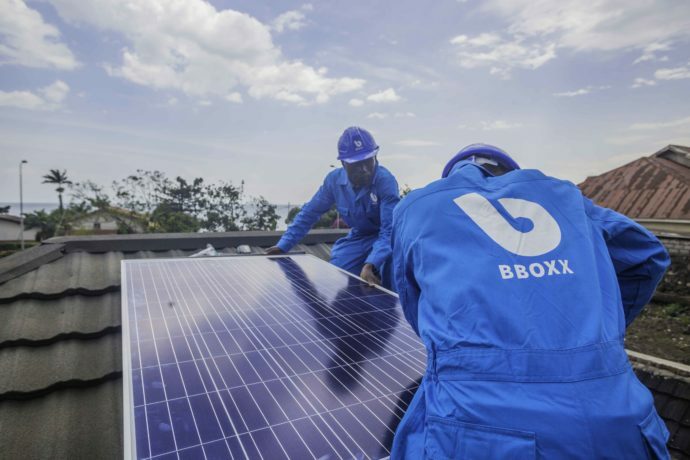 BBOXX, a next generation utility, has recently launched PAYG solar systems in towns and cities in the Democratic Republic of Congo (DRC). This has been enabled through a technical collaboration with Victron Energy and will deliver reliable, clean and affordable power to businesses, enhancing productivity and powering growth. My thanks to Yoann le Fol (Victron PAYG sales engineer) and BBOXX for the information used in this blog. 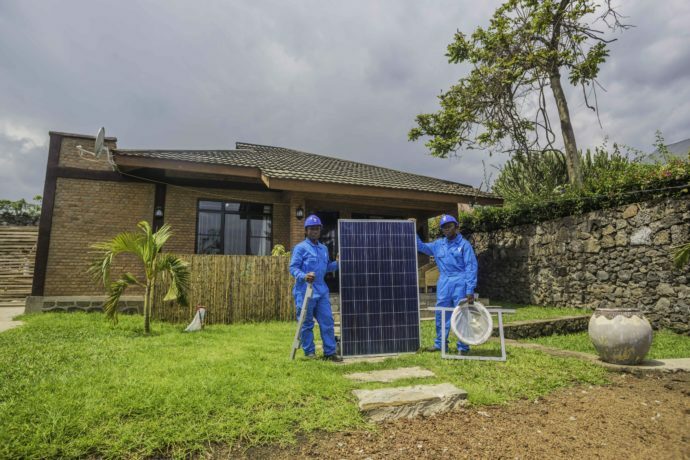 Over the last several years new business models have emerged that could considerably accelerate the progress of access to reliable electricity, especially in low income countries. These models take advantage of improvements in information and communications technologies (ICT) and the declining cost of renewables. The implementation of the PAYG model in Sub-Saharan Africa and South Asia is one of the most significant examples. In short, PAYG means that a company rents solar energy systems to consumers – households, shops, SMEs, etc. Consumers then use mobile money to transfer payments on a regular basis and pay back their system over a contract period (in general 1 to 3 years). Once paid, ownership is transferred to the consumer. It is a prepaid scheme and solar systems are automatically blocked if customer payments are overdue. This allows PAYG providers to minimise costs and mitigate risk – whilst consumers overcome the high upfront cost of the technology. In the DRC less than 14 per cent of citizens have access to any form of reliable electricity, which is a significant barrier to economic development. 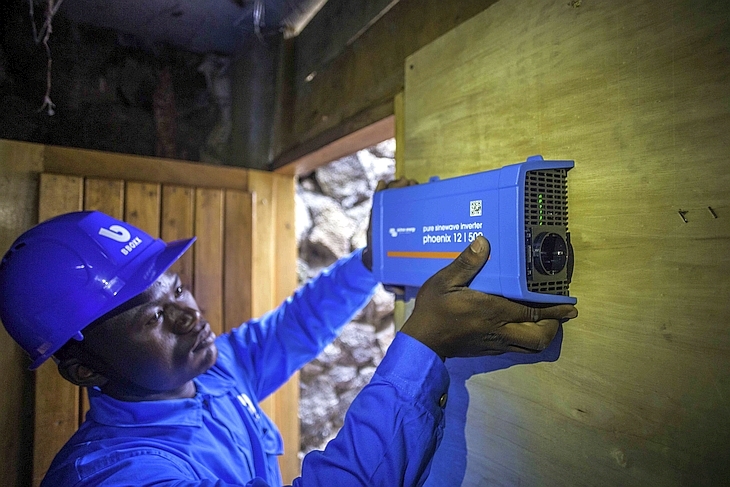 The combination of BBOXX and Victron Energy technologies will serve the energy needs in various areas of the DRC, providing SMEs such as grocery stores, restaurants and micro-processors, with productive power solutions of up to 5.0kW. BBOXX has launched initial operations in Eastern DRC (Goma). This region of around 1.5 million inhabitants experiences regular blackouts which exceed 5 hours daily. Solar systems eliminate the time wasted in solving disruption to an energy supply due to these frequent power cuts. Businesses for example can improve productivity with this reliable power and scale up their operations as required. Such systems increase access to affordable and clean power, reducing reliance on diesel generators too. Operations in the field are conducted in collaboration with GoShop, a Victron Energy authorised distributor in Congo. 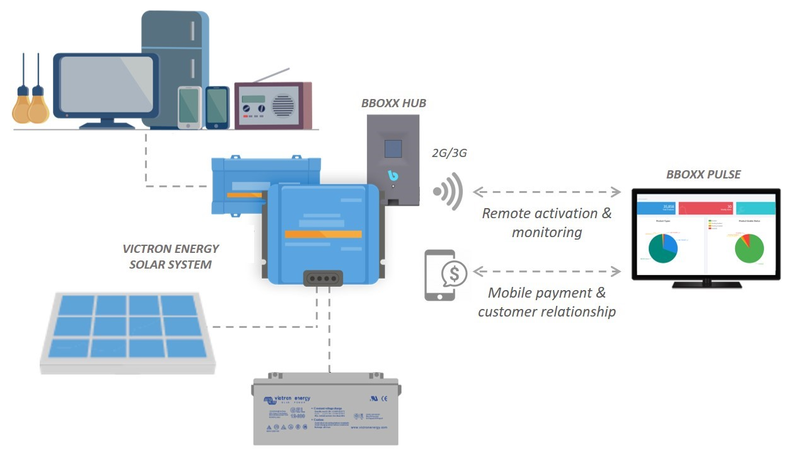 GoShop supplies and installs solar systems whist BBOXX runs the PAYG activities – project development, payment collection, customer relationship, etc. The technical collaboration with BBOXX forms part of a Victron Energy strategy to provide outstanding solutions to the PAYG market. Quality of the system components is a key requirement to ensure consumer satisfaction as well as project sustainability and profitability over the years. Victron Energy inverters and charge controllers have for many years proven their robustness which makes the brand a preferred choice for PAYG. Moreover Victron has developed technical features particularly beneficial for systems durability and software integration – remote monitoring, battery life algorithm, overload protections, serial communication ports, etc. The collaboration with BBOXX will see large solar solutions deployed based on the PAYG model, utilising Phoenix inverters and MPPT solar charge controllers. The systems are seamlessly linked up with BBOXX software which includes customer and payment management as well as smart monitoring and control. This technology proactively troubleshoots battery depletion issues for example, before they become an issue for the customer.